By Our Exclusive Unlimited Mileage Guarantee. All of our major work, except transmission overhauls and remanufactured transmission is backed by a one year unlimited mileage warranty. Transmission overhauls and remanufactured transmission are backed by 2 year 24,000 mile warranty. All minor adjustments and tune-ups carry six month, unlimited mileage warranties. Our warranty coverage on new vehicles is two years or 24,000 miles on any Bosch related equipment. Either a six-month or one-year parts and labor warranty cover all our work, depending on the nature of the repair. Please ask for details and limitations when scheduling an appointment. You do not have to have routine service and maintenance done at the dealer. Having your Mercedes-Benz maintained by G&N Motors certified, factory trained technicians fully satisfies your Mercedes-Benz warranty maintenance requirements. 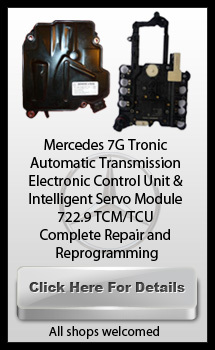 Your Mercedes-Benz manufacturer’s warranty or extended warranty will remain in full force. We honor all aftermarket extended warrantees programs with the exception of Starmark warrantees. 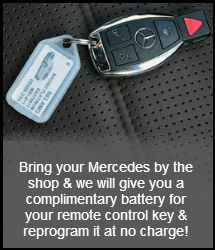 Starmark warranty holders should visit their Authorized Mercedes-Benz dealer for any warranty related service.